Artwork Panel: 53cm x 98.5cm ≈ 20¾" x 38¾"
Silk/Brocade: 62.2cm x 154cm ≈ 24½" x 60½"
Width at Wooden Knobs: 71.2cm ≈ 28"
This is one of the most famous philosophers in Chinese history. 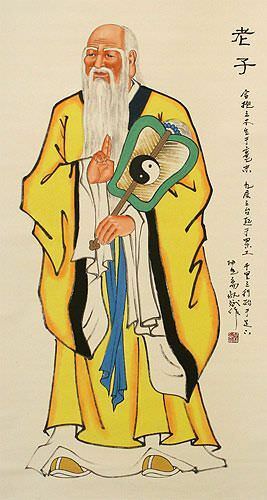 He's also known as the father of Taoism. 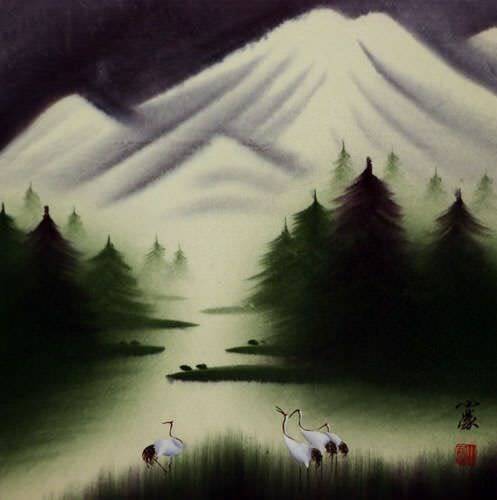 He's credited with writing the Tao Te Ching / Daodejing (kind of the Bible of Taoism / Daoism.